Potatoes and Onions always reminds me of the time I spent living with my grandmother. She loved this dish and we always baked extra potatoes so that we could eat this in the morning. My grandma loved potatoes. She always said it was in her English blood to eat a potato or two every week and she did. I have kept the tradition alive. When I bake potatoes I throw a few extra in the oven so that when the desire to have a warm breakfast hits my family, I can whip this up. If you can't eat potatoes I have substituted baked sweet potatoes too. The difference is that they work best if they are not too soft. They tend to get very mushy if over cooked. My cast iron pan is the perfect cooking vessel for this dish. It radiates heat and provides the perfect heat source to guarantee that the potatoes come out just how we like them each and every time. This dish is simple but it is so easy and family friendly that I knew I needed to share it with my readers. Don't let the specs of burnt onion sway you away from making this dish. In our opinion they add flavor and texture to the dish. If this is not how you prefer your onion, then remove them before you add the potatoes. Reintroduce them to the dish after the potatoes are fried. 1. Heat oil until it starts to just bubble at the edges of your cast iron pan. Reduce heat to medium. 2. Add sliced onions. Let cook for 3-4 minutes. Add potatoes and season.. Fry together. Watch the heat. 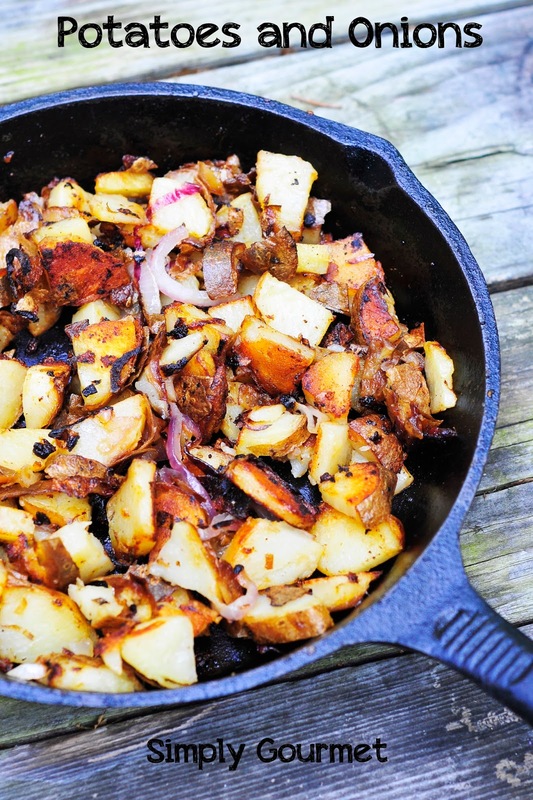 Cast iron will keep the heat very hot and you may want to turn it down a touch. I like to cook my potatoes for about 10-12 minutes. I turn them every few minutes. Add more oil if they get dry or start to stick. 3. Remove and serve. You can always add cheese, sour cream or bacon as optional garnishments. 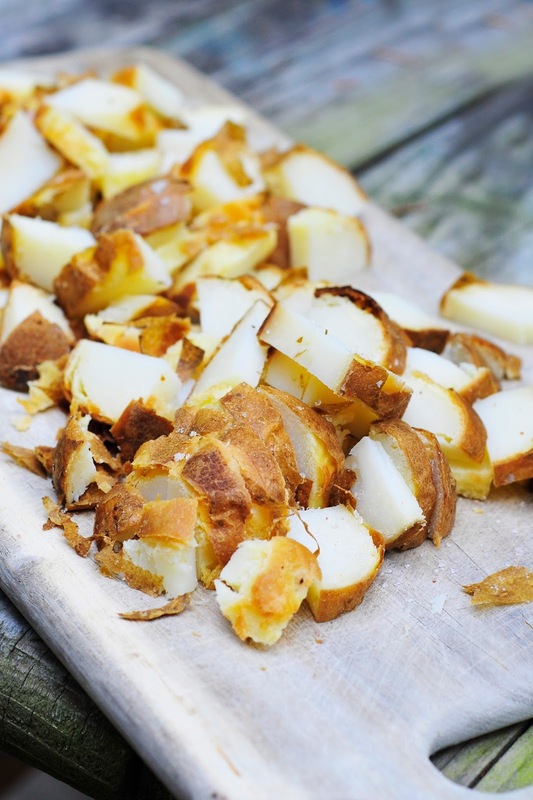 Lovely recipe - I always keep some extra baked potatoes in the fridge for fried potatoes - so good! I am dying for this one! I can't wait to make these potatoes for my family!